In this article, we decided to provide useful tips in playing Basketball, as just some small adjustments here and ther can make you a complete player. Everone playing a sport want to be the best in the sport, but just thinking yourself as the best doesn’t make you the best, but only practice makes you the best sportperson in whatever sports you play. ​One of the most important factors in the art of hitting a baseball is your stance. To achieve maximum power, you need to have a proper stance with your legs apart and your butts lowered below to maintain a sitting pose with bent knees. With this kind of stance, you can generate maximum power on your legs and get it transferred to your hands through your hips to generate that lightning quick and powerful swing. ​As a hitter, every aspect of your stance is important and the position of your arm is also vital. It should be away from the body with your front elbo dropped down, so that your bat doesn’t need to travel a longer distance. ​Your head should always hold straight forward and only focused on the pitcher in front of you. Have your head absolutely still as your head and eyes should co-ordinate with each other to hit your ball right from te center of your bat. ​When you grip the bat, if you the harder the grip, the more power to your swing, then you are terribly wrong. You should hold your bat firm not tight or hard and relaxed and should be held in your bottom hand in line with your fingers of your top hand. Make sure if hold tight, energy will be spent on tyightening your muscles rather than providing the energy to make a powerful swing. ​When it comes to pitching, your position and stance is impotant. A proper position recommended by many coaches is to have the foot on the pitching slab and make your body square with that of the plat and keep your body relaxed and loose and your head faced straight forward to look in the eyes of the hitter. ​The kick is also important and it is up to what kind of kick is comfortable with you and which kind generates maximum power to your pitch. If you think that a high kick can alter yourr balance, then you can definitely go for a short kick. 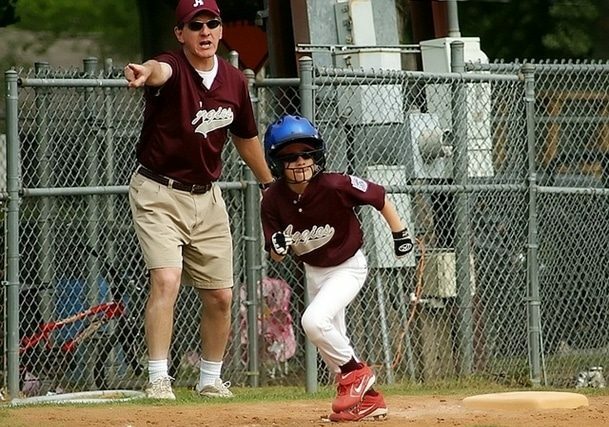 ​The pitcher must have a set or stop position when a runner is in base. The back foot should be on the pitching slab the front foot forward and the body perpendicular to the plate. ​A good catcher should have a strong arm and an intelligent head. The best position for the catcher without a man on base is the low squat position with all your weight balanced on the balls of your feet. You should always be ready for action and agile enough to dive left or right or jump up high to catch or stop the ball quickly. If you intend to give a tip to the pitcher, stick your finger out and with a pocket of the glove which is open and facing the pitcher. Also, while catching, the right hand should be protected with a fist like position, so that any fout tip cannot damage your fingers that is sticking out. ​To gain maximum power in your swing, make sure you use your legs to the maximum. Most power hitter roll up on their back toes when in contact with the ball, as all the powers generated in the legs wull get transferred instantly to your hands effecttively. ​As always said, the stance is important and even though every on have a different stance, it is vital to have your feet apart with your shoulder width and hand held high around the back of your shoulder.